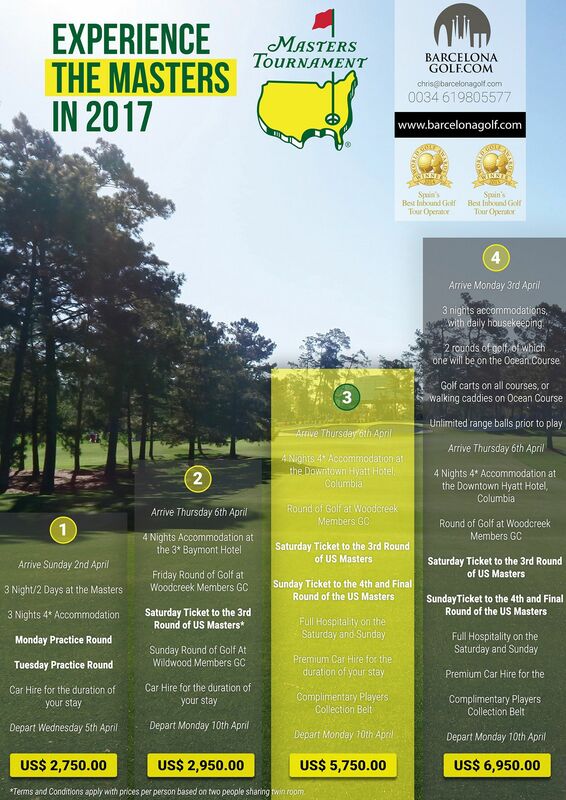 June 13, 2016 – You know how difficult it is to get tickets for The Masters… Well, you have to know that Barcelona Golf Travel (BarcelonaGolf.com) has announced a secured number of exclusive packages to visit Augusta for The Masters in 2017, with a premier experience that will be the delight of every player and golf fan. In 2017 you can play the legendary Kiawah Island Ocean Course, venue for the Ryder Cup 1991 and US Open 2012. Then experience the ultimate golf weekend at Augusta with full hospitality! 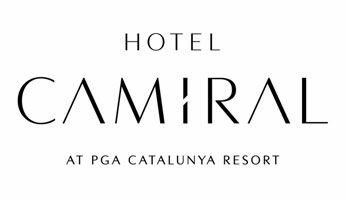 The tickets and the accommodation will be in high demand a few months before the Season Opener starts, but there’s a way to get to the thrilling spectacle through Barcelona Golf Travel, which offers a variety of packages including entries to the first Major of the year, top hotels and green fees for some of the best golf courses of the region. Arrive Sunday 2nd April: 3 Night/2 Days at The Masters; 3 Nights 4* Accommodations; Monday Practice Round; Tuesday Practice Round; Car Hire for the duration of your stay; Depart Wednesday 5th April. Arrive Thursday 6th April: 4 Nights Accommodation at the 3* Baymont Hotel; Friday Round of Golf at Woodcreek Members GC; Saturday Ticket to the 3rd Round of The Masters; Sunday Round of Golf at Wildwood Members GC; Car Hire for the duration of your stay; Depart Monday 10th April. Arrive Thursday 6th April: 4 Nights 4* Accommodation at the Downtown Hyatt Hotel, Columbia; Round of Golf at Woodcreek Members GC; Saturday Ticket to the 3rd Round of The Masters; Sunday Ticket to the 4th and Final Round of The Masters; Full Hospitality on the Saturday and Sunday; Premium Car Hire for the duration of your stay; Complimentary Players Collection Belt; Depart Monday 10th April. Arrive Monday 3rd April: 3 Nights Accommodations with daily housekeeping; 2 Rounds of Golf, of which one will be on the Ocean Course; Golf Carts on all courses, or walking caddies on Ocean Course; Unlimited range balls prior to play. Arrive Thursday 6th April: 4 Nights, 4* Accommodation at the Downtown Hyatt Hotel, Columbia; Round of Golf at Woodcreek Members GC; Saturday Ticket to the 3rd Round of The Masters; Sunday Ticket to the 4th and Final Round of The Masters; Full Hospitality on the Saturday and Sunday; Premium Car Hire for the duration of your stay; Complimentary Players Collection Belt; Depart Monday 10th April. “This year I had the opportunity to visit the hallowed grounds and take in what I can only describe as the BEST golf tournament I have ever experienced”, says Chris Duffy, Account Manager of Barcelona Golf Travel. Note: Prices available on request. All bookings via Barcelona Golf Travel will receive a complimentary Crest Link shirt and cap. More information at www.barcelonagolf.com, chris@barcelonagolf.com or by telephone to the number 0034 619 80 55 77.